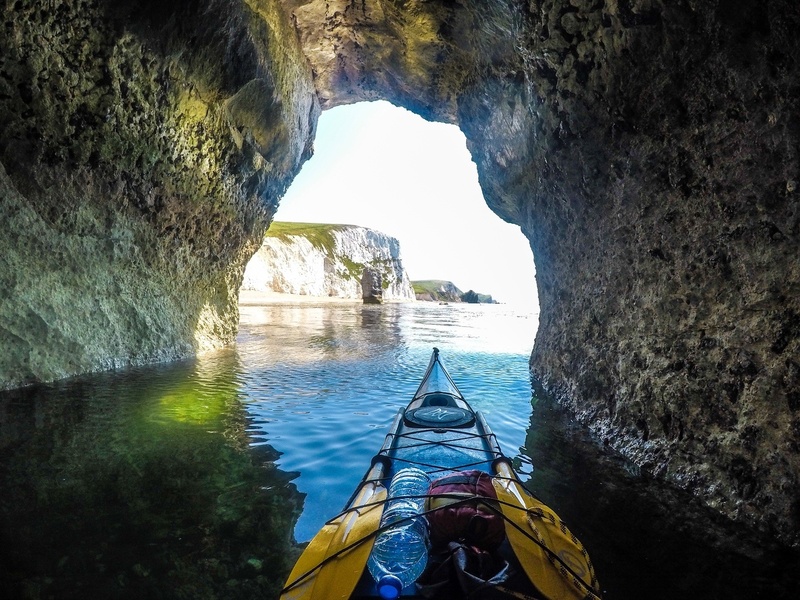 Sea Kayaking is the best way to see the glorious coastline of Britain. Enjoy the wide open space, calm waters and close encounters with wildlife. On our sea kayaking courses you’ll improve your technique and increase your confidence tackle the waves and wind for a real adventure. Never paddled before? Check out our get started courses. Private groups can book a bespoke Sea Kayaking trip, introduction, courses or award with Liquid Logistics. You’ll get top level Kayak coaching, all the kit and expertise to run your Kayaking event. Book a your very own private coach. We operate mainly along the Hampshire and Dorset coastline but do run one off sea kayak courses further afield. At Liquid Logistics we offer a range of Sea Kayaking courses, introductions and trips that we hope will inspire you. Get in touch with Liquid Logistics. 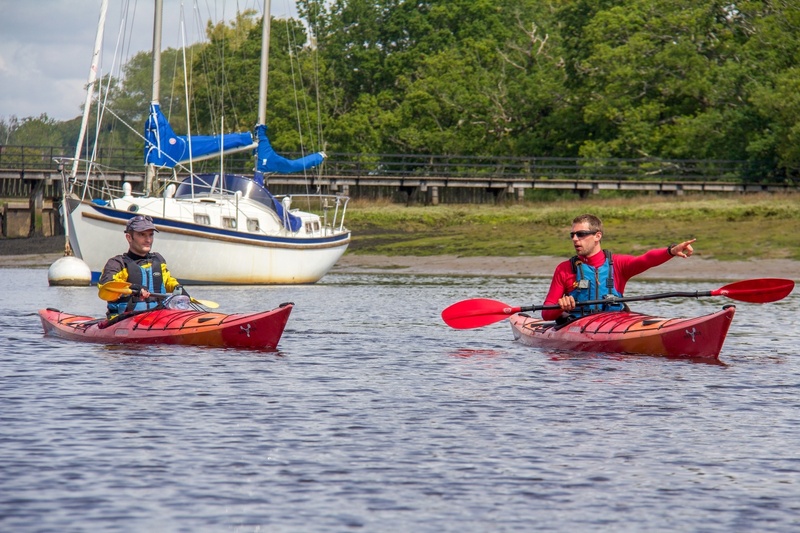 Our 3 hour introduction to Sea Kayaking takes place on the Beaulieu River in The New Forest a stunning venue to paddle in which provides shelter and conditions for novice Sea Kayakers to grasp the fundamentals. 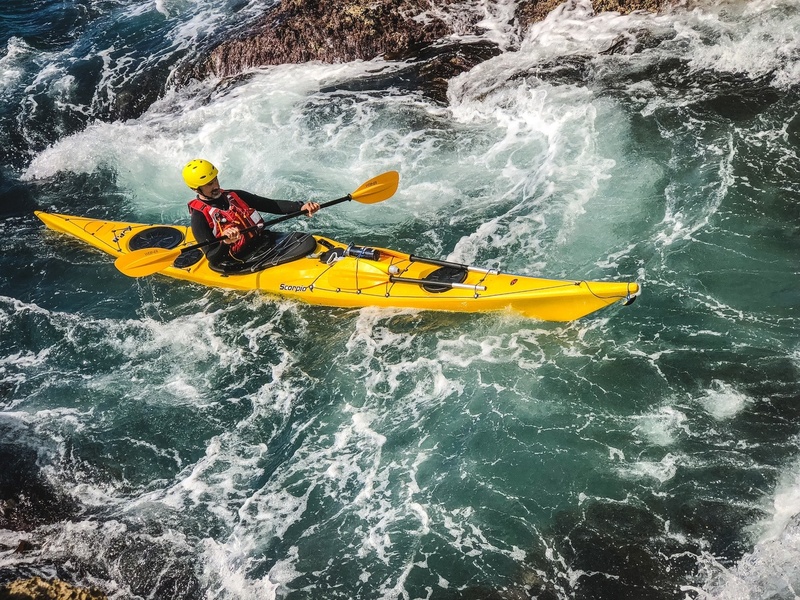 You’ll be introduced to how the sea kayaks handle in the water and shown the skills to move them around with prime effieciency in a fun, calm environment. 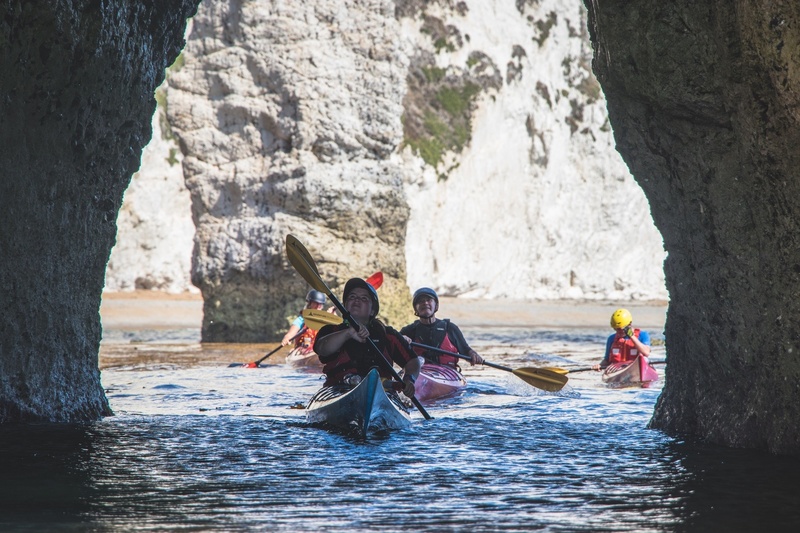 Learn all about sea kayaking while paddling along the beautiful South Coast. Picking up the basic Sea Kayaking skills and safety, you’ll feel confident heading out to enjoy adventures on the open sea with other like minded paddlers. There will be many opportunities for coaching and relaxing. We do recommend that you have some experience (3 hour introduction) as a full day can be a lot of activity for the complete beginner. 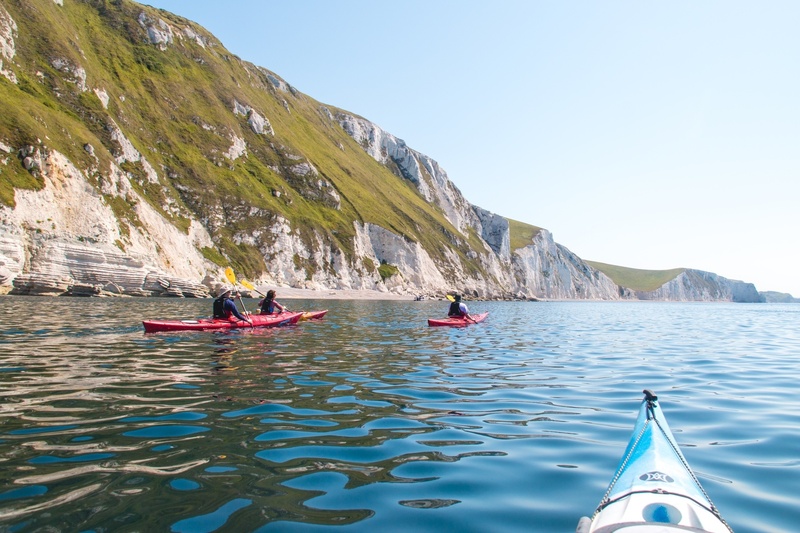 Sea Kayaking in Dorset offers us the opportunity to paddle along towering cliffs, calm bays and beautiful harbours. On this trip you’ll undertake a great journey where there will be many opportunities for testing your skills and receiving some coaching to improve your paddling. We’ll meet at Studland and as a group, will decide an appropriate venue to suit the group and conditions on the day. We do recommend that you have some experience (3 hour introduction or Learn to sea kayak day trip) as a full day can be a lot of activity for the complete beginner. From January 2019 onwards we are pleased to announce that we will be running the new British Canoeing personal performance sea kayak award. This is the award that’ll replace the BC 3* Sea Kayak and will allow greater opportunities for paddlers to gain experience, training and a certificate relatable to their current performance. 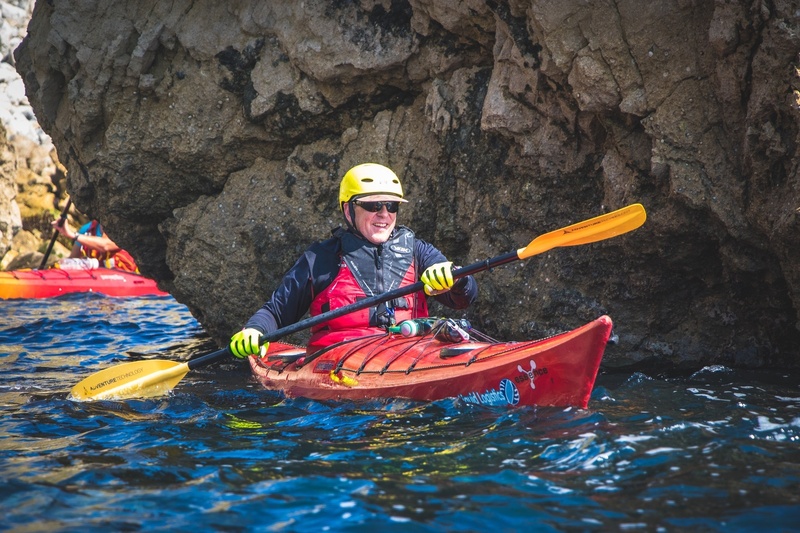 If you have been on a Sea Kayak 3 Hour Introduction Course or Sea Day and fancy some more coaching to improve your enjoyment of paddling on the sea, join us on our two day sea kayak coaching course. At the end of the two days you’ll be paddling confidently and learnt a variety of skills to try on the sea. We’ll look at technique, basic planning, and safety whilst taking into account your own aspirations. Fancy something a little more bespoke or can’t make the dates we have on offer? Our private coaching extends from touring around on our river for a few hours, to multiple days out on the sea. We can organise a bespoke itinerary to make sure you get the full experience and make the most out of your time on the water with us. Visit our private coaching page to find out more information and to see our buy one place and get another place free offer!